FAIRBANKS – The Alaska Marijuana Control Board issued the first ever marijuana cultivation license today to Fairbanks-based Rosie Creek Farms. 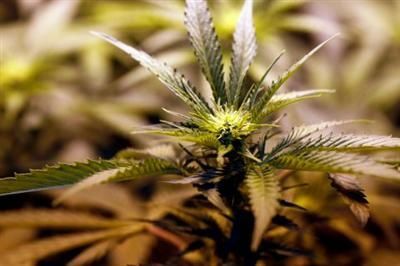 The board met in Anchorage Thursday to begin approving licenses for the newly legalized marijuana industry after a delay due to the state’s lack of authority to conduct national background checks. The authority is contained in a bill that passed the Legislature that has yet to be signed into law by Gov. Bill Walker, but the board decided to move ahead with consideration of applications anyway. The five-member board voted unanimously to approve a standard cultivation permit for Rosie Creek Farm, an already-established farm owned by Mike Emers and Joan Horning. Rosie Creek Farm is one of 18 standard cultivation licenses on Thursday’s agenda. There were also 10 limited cultivation licenses and two testing facility licenses. The two testing facilities, both located in Anchorage, were also unanimously approved. The approval for Rosie Creek Farm, as with other license approvals, is conditioned on local government support. In this case the Fairbanks North Star Borough Assembly is set to meet tonight to decide its position on five marijuana businesses. The borough has already approved a zoning permit for Rosie Creek Farm. Contact staff writer Matt Buxton at 459-7544. Follow him on Twitter: @FDNMpolitics.